An exciting vintage piece from 1992. 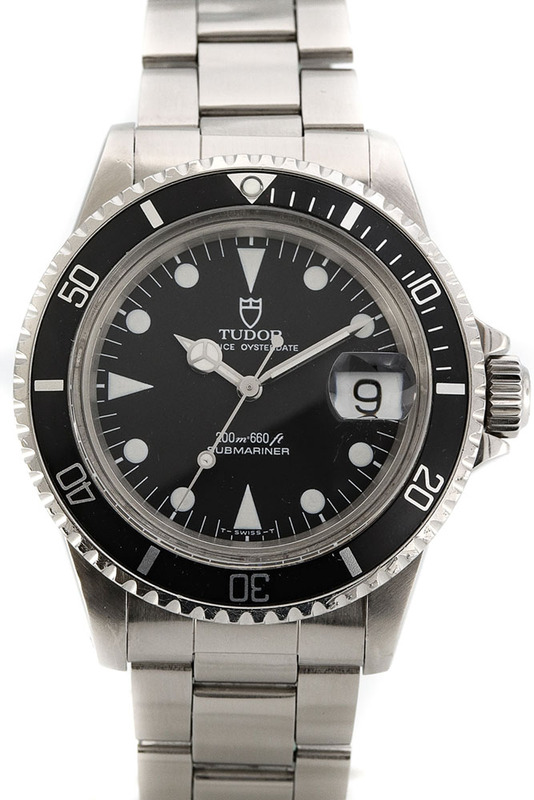 You’re looking at Tudor Submariner, the little cousin of the Rolex Submariner. To those who don’t know the relationship between the two; Tudor was founded in 1926 by Hans Wildorf, the same man who founded Rolex in 1905. This might have been the biggest marketing trick in the history of watchmaking in a time when marketing was negligible. Wildorf founded Tudor because he wanted to give the market a watch with the same standards as a Rolex watch but for a more modest price. He knew there was a big market for tool-watches already and so Tudor became an instant success. This Tudor has the exact same case and crown as the Rolex 5513 and 1680, ensuring you that you’ll get a true divers watch, waterproof to 200m. This is even engraved in the case back. 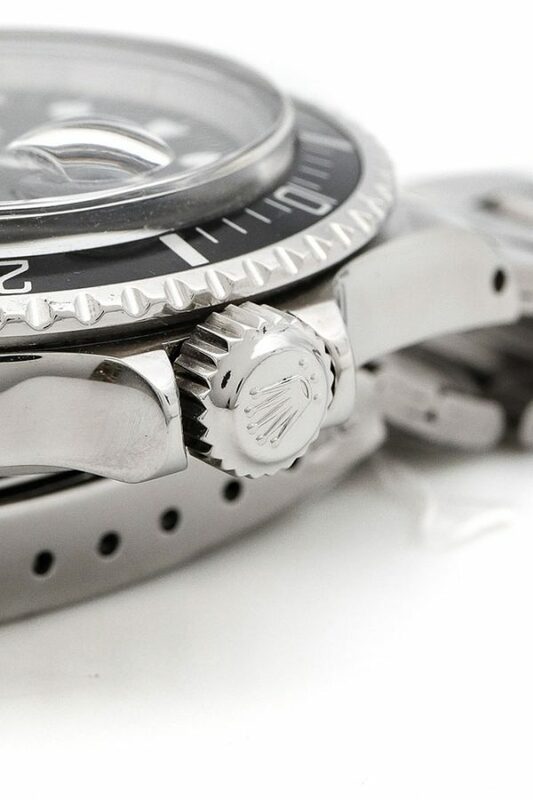 The bracelet on this Tudor is a folded Oyster bracelet, similar to the Rolex bracelets which were used up to 1975. 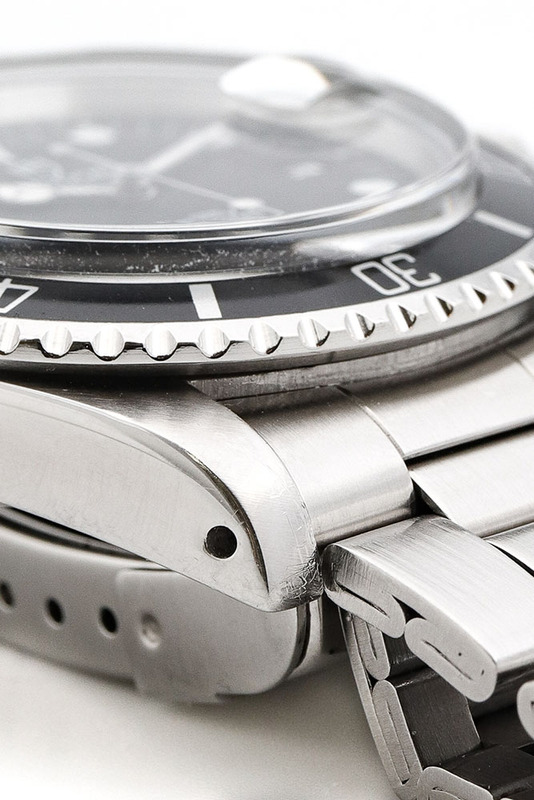 Where Rolex upgraded their Oyster bracelet to solid links in the 1970s, the one on the Tudors stayed with the ‘older’ folded model, which had to be done in order to keep Rolex the ‘bigger brother’ and of course to explain the price difference between the two… However, the folded links are still in good condition and the looks haven’t changed at all, so why bother the extra expense? Many people actually experience the vintage folded bracelets as more comfortable. A nice extra with this watch is its extremely vintage character for a 1992 watch. 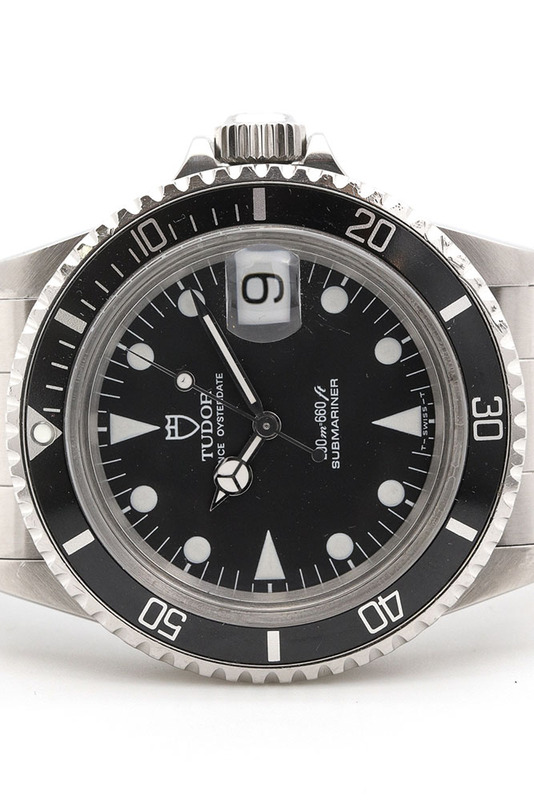 The Tudor Submariner continued producing a little longer with matte dials with tritium compared to many other brands, today this is actually a much-appreciated character in the vintage watch market. Another vintage gimmick; the thick plexiglass which lays ‘above’ the case giving this watch more dimension in a time when sapphire crystal was available. 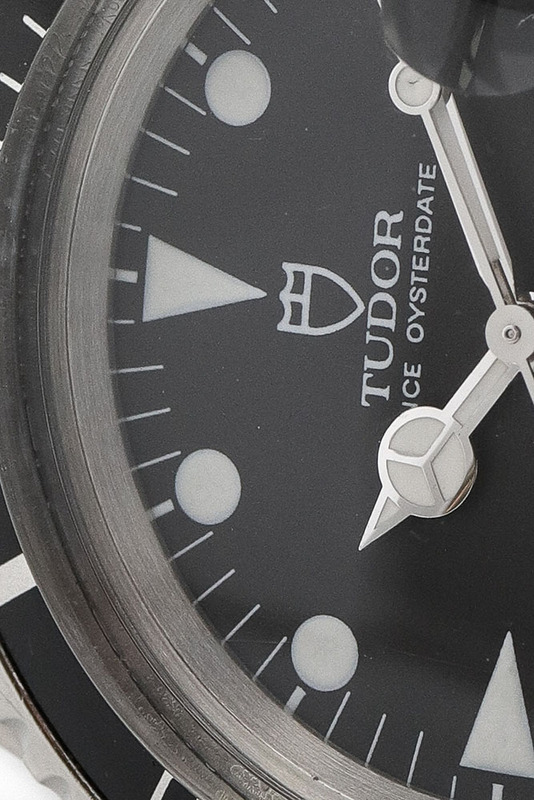 The intentional delays in Tudor’s technical development have resulted in an increased desirability for these type of watches. 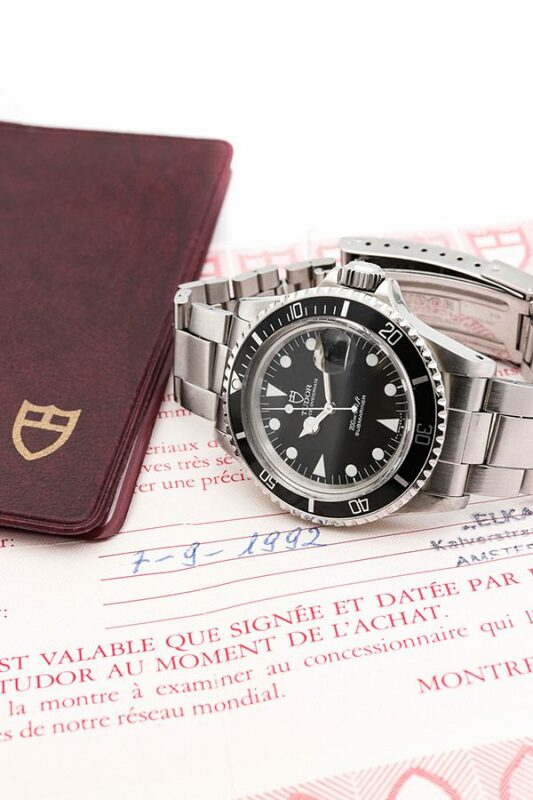 Moreover, this watch comes with its original papers, which do need a little extra attention. Unlike Rolex, Tudor delivered the warranty papers unpunched and blank to their retailers because the same warranty papers were used for different models at the time. It was the responsibility of the retailer to make these in order when selling a watch. The warranty papers with our watch date back to 1992, with a stamp of the Amsterdam jeweller ‘Elka’, the date of sale and model reference. In the 1990s this was enough for a customer to go back to their jeweller in case the watch had problems to claim their warranty. Writing down or punching the papers did not happen often back then, there are many original papers out there without the case number filled in. 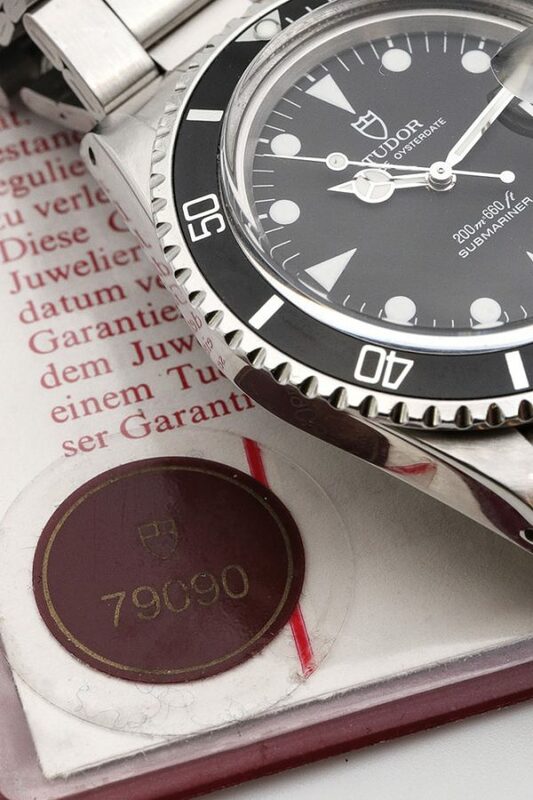 Our papers date back to 1992, with that year printed on it and written on it, corresponding with the year of this Tudor watch and model which can be precisely dated by its case number and a stamp of a jeweller which today doesn’t exist anymore. Come by for a cup of coffee and the full story. 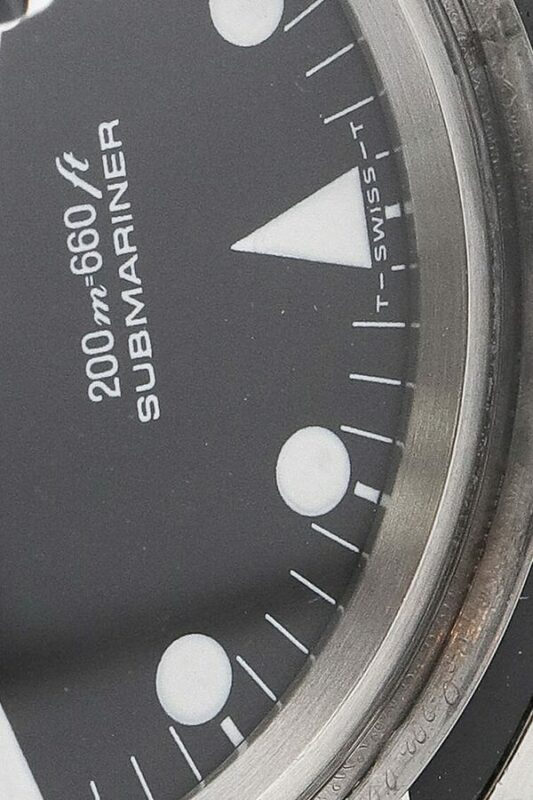 Let us tell you more in our beautiful store about this desirable vintage diver. We are located in the Reestraat, Amsterdam.